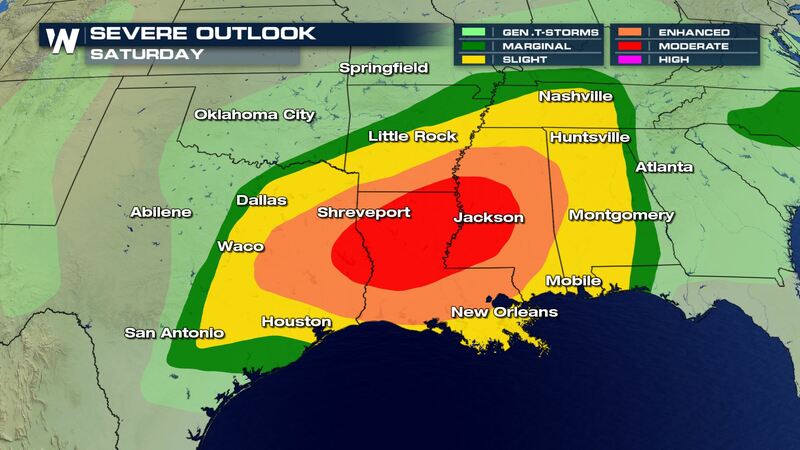 A multi-day severe weather threat is poised to impact the southern U.S. through this weekend. 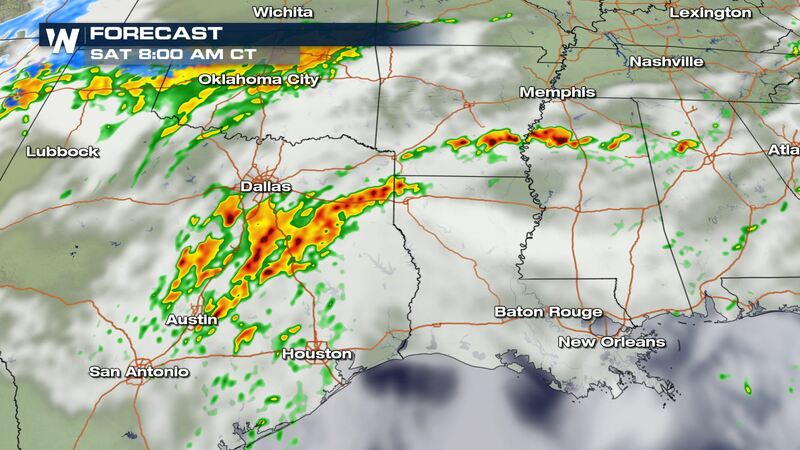 Thunderstorms have already fired up Saturday morning, with severe storms triggering large hail and isolated tornadoes. The threat is great for damaging tornadoes, large hail, and widespread damaging winds for the day and into the night Saturday. The Storm Prediction Center has issued a moderate risk, which is the 2nd to highest threat level possible. The atmosphere becomes even more primed through the day and into the overnight hours of Saturday as a warm front surges north, bumping dew points into the 60’s and 70’s. Abundant shear in the atmosphere, or change in wind direction with height, will help with storm organization and inherent rotation. Storms developing out ahead of the cold front will be most concerning. While all storm modes are possible at some point during the day, these discrete storms have unencumbered access to peak environmental ingredients. These storms carry the greatest chance at tornadic activity and large hail. A moderate risk of severe storms is already in place because of this for Saturday afternoon. 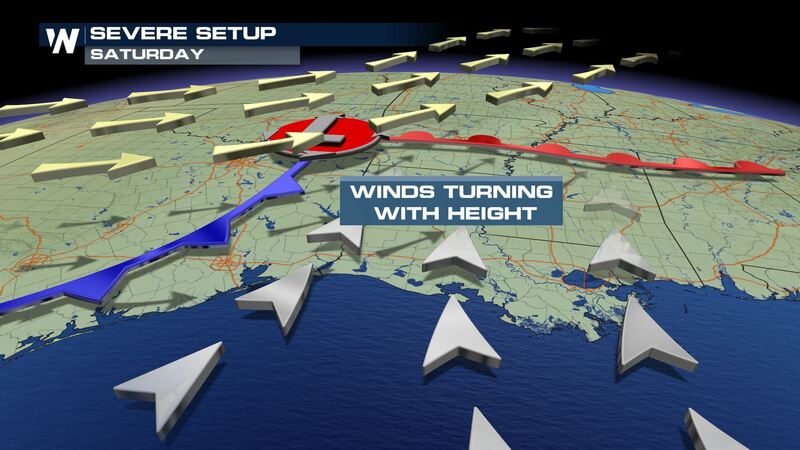 As the cold front moves through, the storms will evolve into more of a linear pattern. Damaging wind gusts will become increasingly likely through the evening. 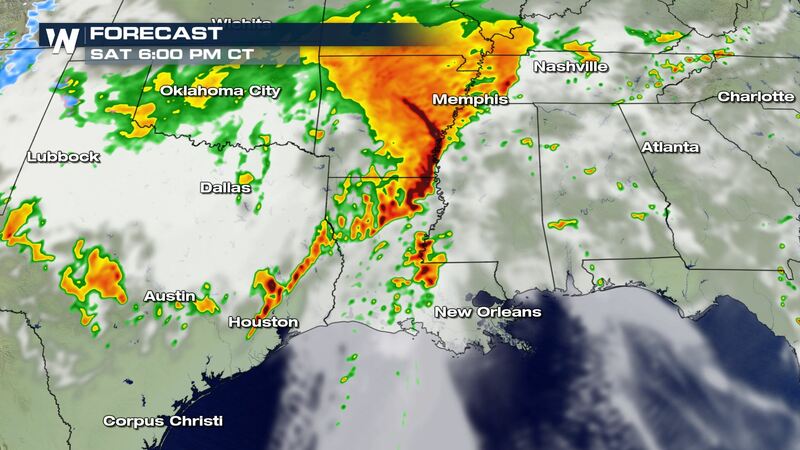 Strong thunderstorms will continue to move across the southeast Saturday night. 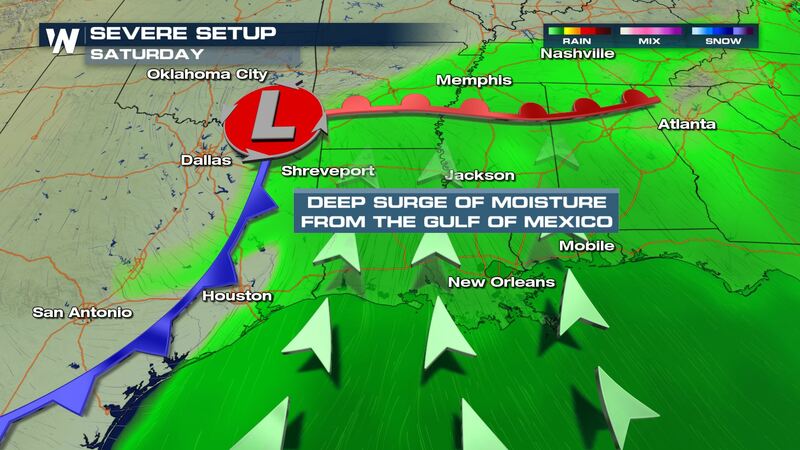 Redevelopment of storms is expected along the cold front from Alabama to South Carolina on Sunday afternoon. As a strong line flies east, damaging wind gust potential will likely develop. 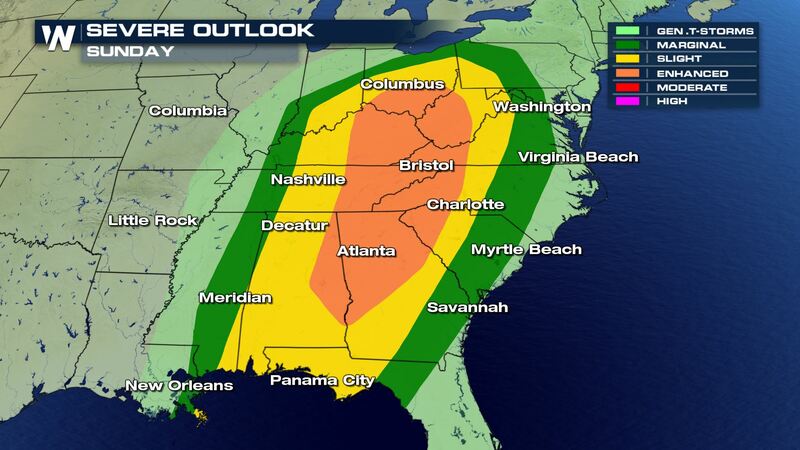 The Storm Prediction Center has highlighted the Ohio Valley southward to the Gulf Coast states for the risk of severe weather on Sunday. Stay with WeatherNation as we continue to track this weekend’s severe weather threat. We’ll have live team coverage from the studio and in the field.